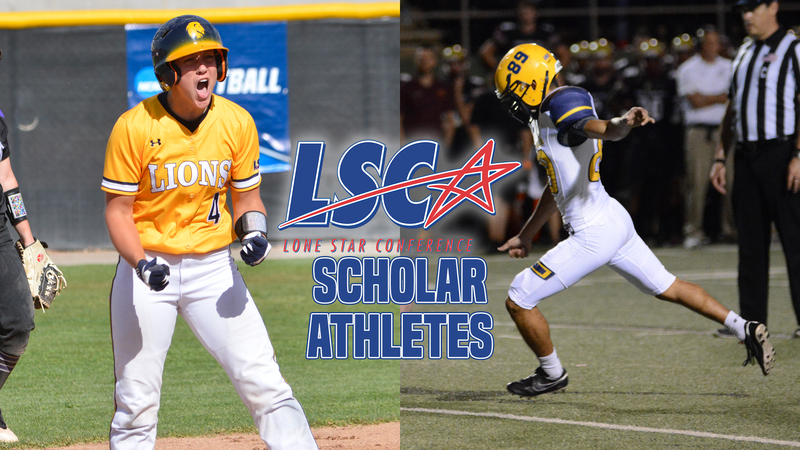 Football’s Martinez, Softball’s Jameyson named LSC Scholar-Athletes. RICHARDSON – Lone Star Conference Scholar-Athletes named Texas A&M University-Commerce football player Kristov Martinez, and softball player Mariah Jameyson, as announced Tuesday by the conference office. Each academic year, the LSC presents a Scholar-Athlete Award to one male and one female student-athlete at each member institution. These student-athletes are representatives of the outstanding accomplishments in athletics, scholarship, and leadership that displayed on each LSC campus during the year. Student-athletes must have participated at least two years in their sport and be a member of the graduating class. Martinez – a senior from Edinburg – was named an All-American after breaking the Lions’ single-season record for points scored in a season, on his way to becoming the all-time leading scorer in A&M-Commerce football history. He led the LSC in field goal percentage (85.7 percent) and field goals per game (1.6), helping lead one of the highest scoring teams in the nation to the school’s first-ever NCAA National Championship. Martinez was also named Second Team All-Super Region, First Team All-LSC, and was an LSC All-Academic selection. He was named LSC Special Teams Player of the Week twice during the regular season, then went 11-of-12 on field goal attempts in the Lions’ playoff run, including the game-winner in double overtime at Central Washington. Martinez graduated in December 2017 and will complete his athletic eligibility in 2018. Jameyson – a senior from Seattle, Wash. – adds to her academic awards from the 2018 season. She was previously named the 2018 Google Cloud CoSIDA Academic All-America of the Year, the first player in school history to receive the distinction. She was named a First Team All-American by four different organizations and was named National Player of the Year by three different publications. Jameyson led the Lions to their first-ever South Central Regional Championship, leading the nation in on-base percentage. She was second in the country in batting average, slugging percentage and RBIs, third in total bases, fourth in walks and fifth in home runs. Jameyson graduated in May 2018 in Grand Junction, Colo., in a special ceremony during the NCAA South Central Regional Tournament. Annie Combs Cameron Sr. Softball Tuttle, Okla.
Keenan Dodd Eastern New Mexico Sr. Baseball Albuquerque, N.M.
Islam Sbeih Midwestern State Sr. Football East Oakland, Calif.
Mariah Jameyson A&M-Commerce Sr. Softball Seattle, Wash.
Erin Alderman Texas Woman’s Sr. Gymnastics Fair Oaks, Calif.
Mike Fernandez UT Permian Basin Sr. Baseball Miami, Fla.
Mariangela Garcia Western New Mexico Sr. Softball Tucson, Ariz.